SHARMINI PERIES: It’s the Real News Network. 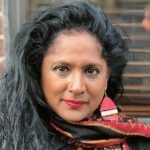 I’m Sharmini Peries, and I’m in conversation with Professor Ilene Grabel. 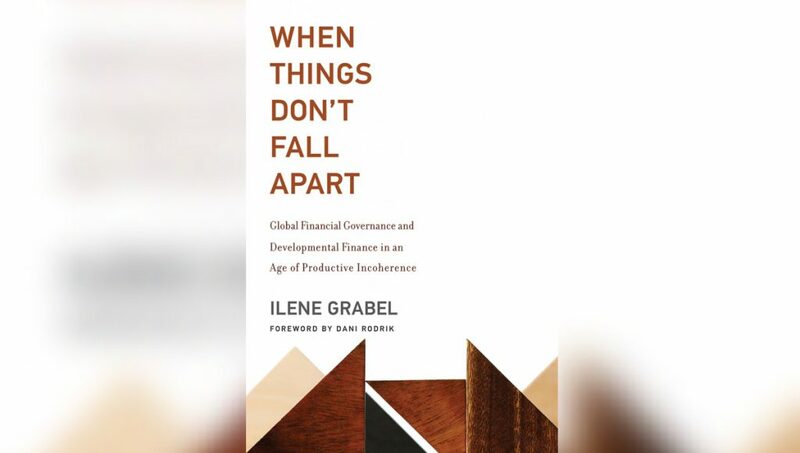 Her new book, “When Things Don’t Fall Apart: Global Financial Governance and the Development of Finance in the Age of Productive Incoherence.” If you want to know what it’s about, you have to turn into Part 1 of this interview where we introduce the book and discuss what that title actually means. In Segment 2 we’re going to talk about international players, or the new international players that are a part of international finance and governance. I welcome you back, Ilene. ILENE GRABEL: Thank you, it’s a pleasure to be here. SHARMINI PERIES: ILene, in Part 1 we were discussing the dominance of IMF and the World Bank when it comes to international finance. But as a result of the financial crises of 2008 and 2009, the landscape in terms of finance and governance has changed. I was wondering whether you could talk a little bit more about the ways in which it has changed, and who are the new players. ILENE GRABEL: Sure. You know, the landscape of the global financial system has been evolving in very important ways during the global crisis, and I would say very exciting ways. What’s been happening is that a variety of what we might think of as older players have joined with newer players to start to reshape the landscape of the global financial system. Since World War II the landscape has really been very constant. It’s been dominated by two institutions that were created as World War II was winding down. That’s the IMF and the World Bank, what are usually referred to as the Bretton Woods institutions. And that was really the whole story of the global financial architecture from 1944 through the global crisis. It was a story about what were the Bretton Woods institutions doing? What’s exciting for me as someone who has been looking at the evolution of the global financial landscape for quite a long time is that the global financial crisis made space for a variety of new players to come to play much more important roles in the global financial landscape. And they’ve been playing essentially two important roles. One is providing support to countries in crisis, what’s technically speaking called countercyclical liquidity support. Essentially it’s assistance to countries during a financial crisis. And up until the global crisis that role was principally played by the International Monetary Fund. Not so anymore. Prior to that global crisis it was also the case that if countries needed to take on long term loans in order to finance things like infrastructure, say to build railroads, or water purification systems, they could get those loans from the World Bank, which was also created as World War II was winding down, or by other institutions that are in some sense almost like cousins of the World Bank. Those are the Asian Development Bank, the African Development Bank, the Inter-American Development Bank. Those were the only players in town. During the global crisis what we started to see was that institutions that are based in the Global South and the Global East increasingly began to take on these two roles of providing crisis support finance and also long-term finance for things like infrastructure development. Some of those institutions existed prior to the global crisis, but were fairly small in scope. And during the global financial crisis what started to happen was that those institutions were essentially being built out. That is to say, their capital base was expanded by member governments. They began to develop more instruments that were used on many more occasions to provide finance. And they also began to partner with other similar institutions based in the Global South and East so that institutions that were relatively small began to scale up during the global crisis. And of course, and as your listeners know, what was happening at the same time is that a variety of new institutions began to be created during the global financial crisis. Many of those institutions had China as a lead actor, and certainly an institution that would come to the mind of listeners would be the creation of the Asian Infrastructure Investment Bank, which is known as the AAIB, which is a China-led institution, but an institution which by now has almost 70 member countries. It’s also the case that through the Chinese-led One Belt One Road initiative there have been many other initiatives that have been aimed at providing long-term finance to countries that are looking to build infrastructure. It’s also the case that institutions that bring together countries in what’s called the BRICS grouping, which is Brazil, Russia, India, China, and South Africa, the BRICS countries have created two institutions of their own during the global crisis. One is called the New Development Bank, and it provides infrastructure finance, principally. The other institution is called the Contingent Reserve arrangement of the BRICS, and it aims to provide crisis support finance. Countries in the Eurasian region have created the Eurasian Fund for Stabilization and Development, which both provides crisis support and also long-term infrastructure loans. An institution in South America whose existence predates the global crisis but which began to play a much bigger and more important role during the global crisis is called the Latin American Reserve Fund. Its Spanish acronym is FLAR, F-L-A-R, and FLAR began to play a much more important role during the crisis. One other institution of crisis support that your listeners may not be aware of is called the Arab Monetary Fund. And the Arab Monetary Fund also provides crisis support to the 22 countries in what’s called the MENA, region the Middle East and North Africa. And it began to play a more important role during the global crisis. It’s also the case that some longstanding development banks that are based in some of the most important countries in the, in the developing world, such as China’s development bank, Brazil’s National Bank of Economic and Social Development, began to play a greater role outside of their country’s borders and really began to take on a role which challenges the role of the World Bank, and to some extent also challenges the role of the IMF in times of crisis. And so when you look across the global financial landscape today it’s starting to look very different from the old post-World War II landscape that was, again, dominated by the Bretton Woods institutions that were created in 1944. We have a landscape that has now many players, and those players are providing very different kinds of products to countries in the Global South and East. Those products are often available much more quickly than the Bretton Woods institutions, which tend to be very slow to react to the demands of their membership and to the needs of their membership. The institutions in the Global South and East tend to be much nimbler. They’re smaller institutions. They’re closer to their client base. Their client base has, in some sense, ownership of these institutions, and that allows them to respond more quickly to demands for crisis support, and also demands for long-term infrastructure finance. And sometimes, though I would be clear, not always, sometimes those financial support mechanisms are provided on terms which are much more attractive to countries in the Global South and East. And they are generally not associated with the kinds of strings associated with funding from the IMF and World Bank. And so for that reason many policymakers in the Global South and East prefer to borrow from their neighboring institutions rather than the Washington DC-based institutions, because those relationships of course have been so degrading of autonomy in the developing world. SHARMINI PERIES: I think this is an ongoing conversation, and I thank you so much for joining us today. And we welcome you back any time, Ilene. And all the best with your book. And I know you are hitting the road, so maybe someone else out there who’s interested in listening to you further can tune in to one of your book talks. ILENE GRABEL: Great. Thank you very much. It was a great pleasure.